Hello! 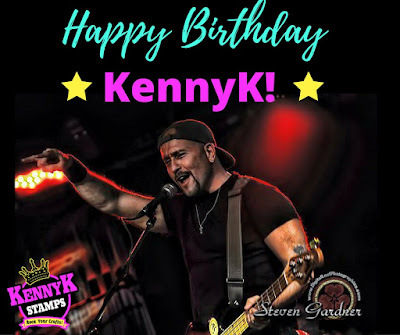 Today I am posting a very special birthday message to the one, the only KennyK!!! 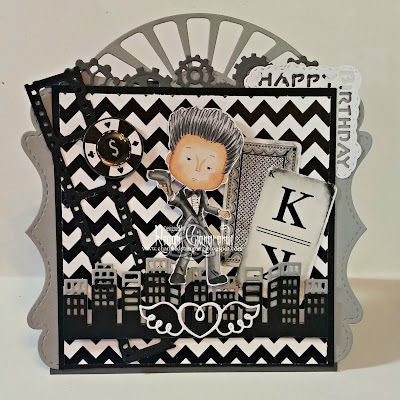 Please join us over at Club KennyK (the official KennyK Stamps Facebook group) as we celebrate his big day! There is a contest with some fabulous prizes, but more importantly come leave Kenny some birthday love! The KennyK's Krafty Krew design team has whipped up some cards for Kenny. You can see all of them over on Facebook, but here is a peek at mine. 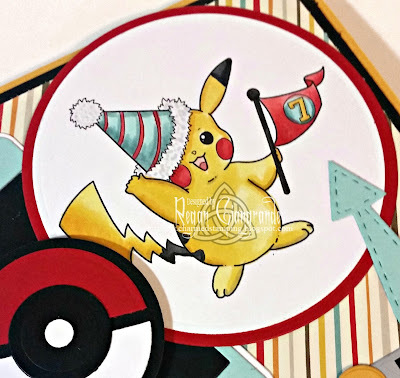 I colored Party Time with my Copics and cut him using Classic Circles Nestabilities. 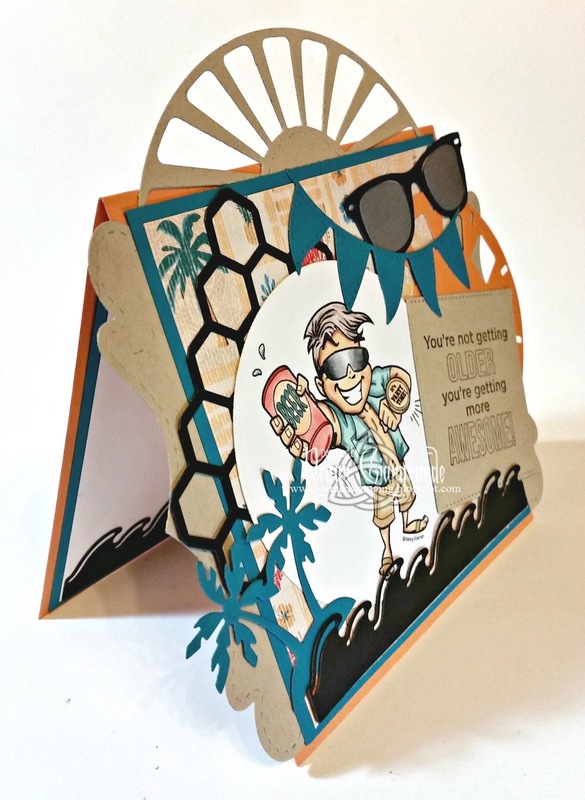 I loaded up on dies using Sunburst, Stitched Bracket Border, Flag Banner, Honeycomb, Palm Tree Island, and Tropical Wave (La-La-Land Crafts) as well as Geek Is Chic Glasses, Stitched Squares, and Reel Life (My Favorite Things Die-namics). 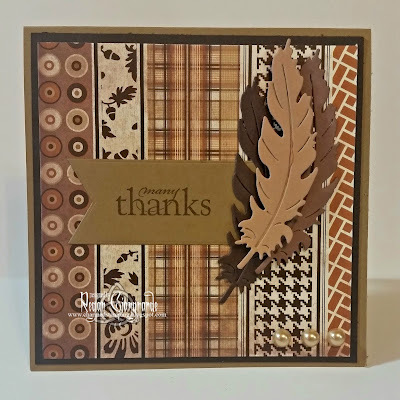 The sentiment is a Studio G Michael bargain bin find! 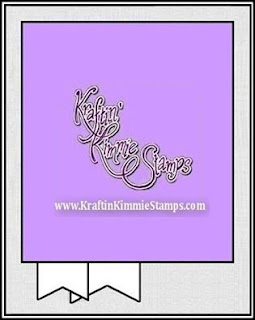 Kenny, along with his wife Elena, are the creative force behind the stamps we love so much! Let's take a moment to wish him another amazing trip around the sun! Make your own birthday creation using any KennyK Stamps image (digi or clear) and enter on Facebook for your chance to win a $25 gift voucher to the store! 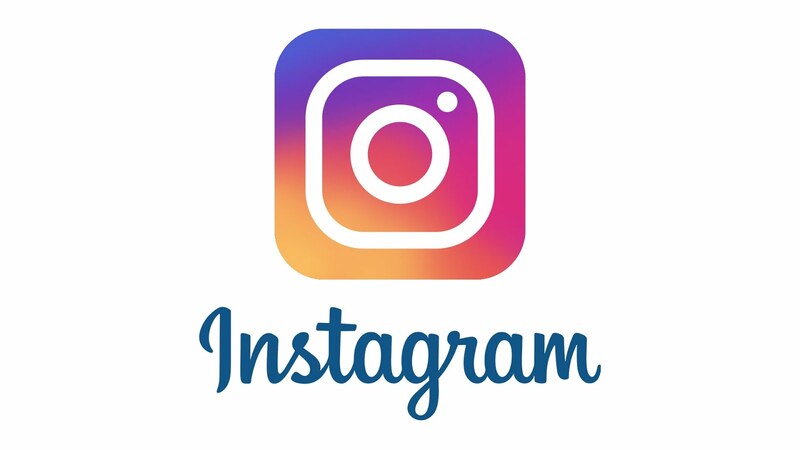 Two other lucky winners will receive 3 digis of their choice! Hey there! Is there anything as good as Saturday morning coffee? Probably not... I get to sleep in a bit and the weekend stretches before me! While I stir up my iced mocha this morning I thought I'd share a card over it. 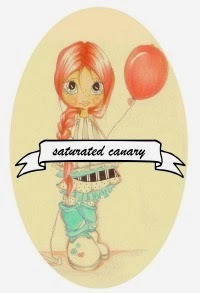 And appropriately enough, the name of this adorable image from Saturated Canary is - Saturday Coffee. Leave it to my child to tell me the DAY OF that his new teacher has a birthday during the first week of school! And now that I know I can't not make her something. 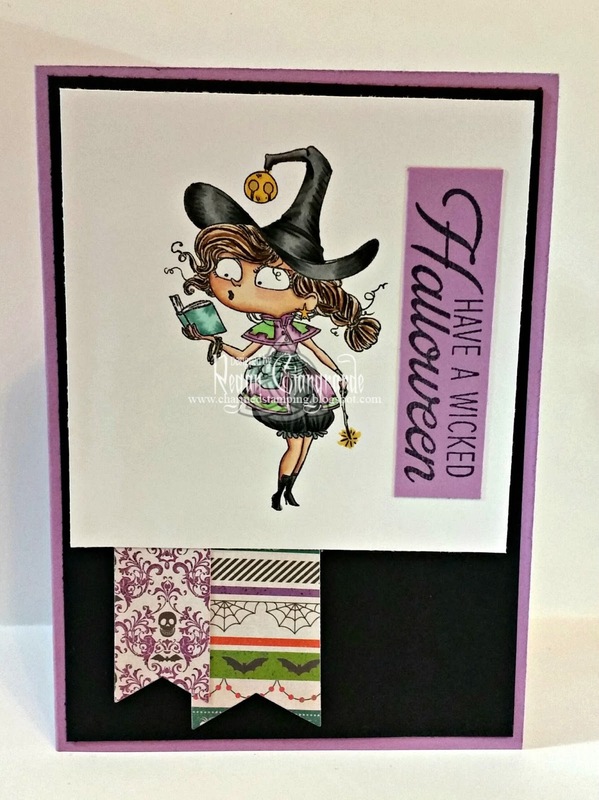 So I colored up this cutie and cut her with Long Rectangles Nestabilities (Spellbinders). I then cut a mat to fit and distressed the edges. I pulled out a pile of dies and went to work! 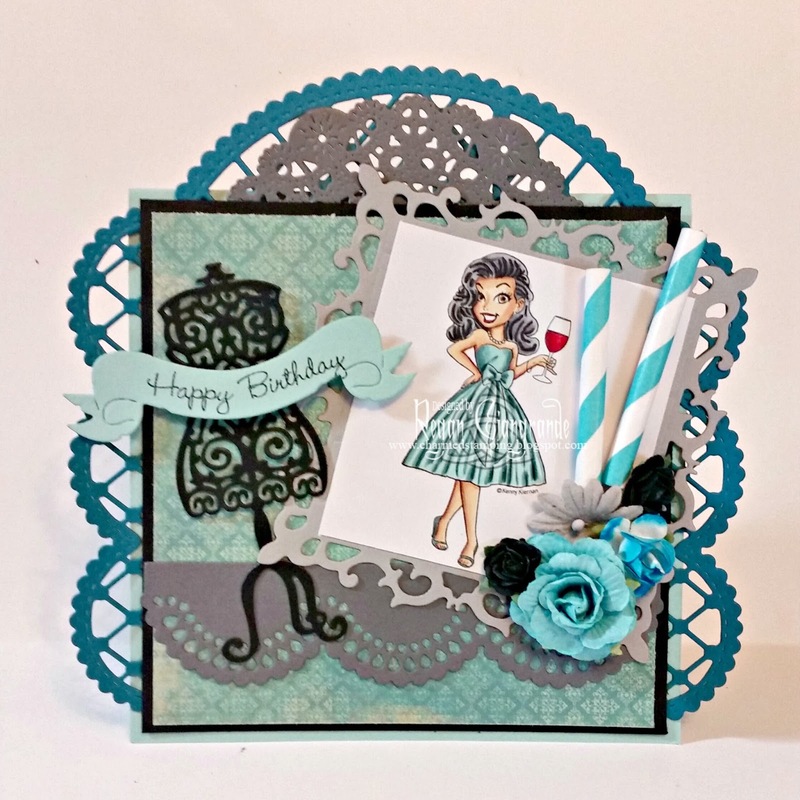 Here I used Fancy Doily Border, Stitched Bracket Border, Hot Air Balloon, and Scalloped Banner (La-La-Land Crafts). 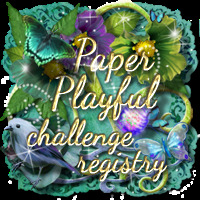 The sentiment is Stampin' Up and is cut with Classic Circles Nestabilities (Spellbinders). The wee little Eiffel Tower is My Favorite Things. Details include a Polaroid photo frame, flowers, ruffled ribbon, and a bling flourish all from my stash. 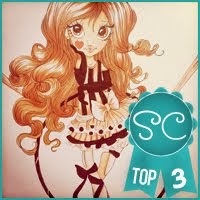 Only five more days until Krista closed the Saturated Canary store so shop while you still can! 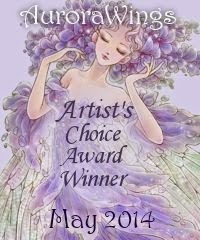 You can also purchase her 2016-2017 subscription until October 1st as well! Hurry! Now that I'm well-caffeinated it's time to start my day! Hope yours is a good one! Hi! 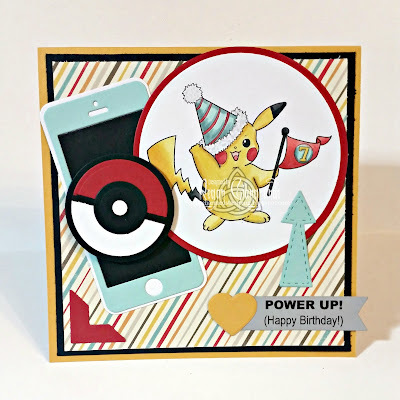 Yes, I really do still have cards left to show off! 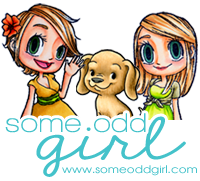 Lol It's been quite the busy blog week for me! 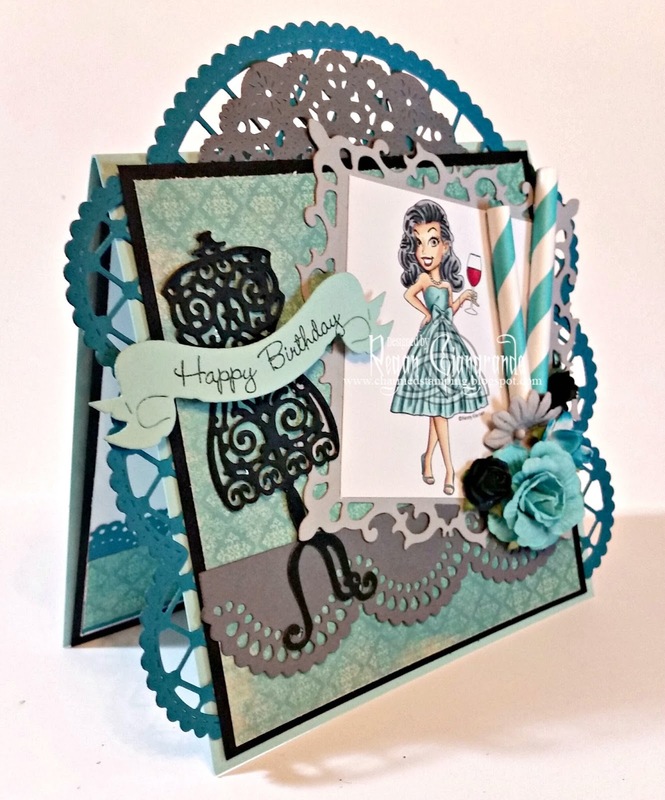 Next up is a birthday card I made for a co-worker. 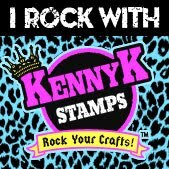 I selected Happy Hour from KennyK Stamps because she reminds me of the recipient. 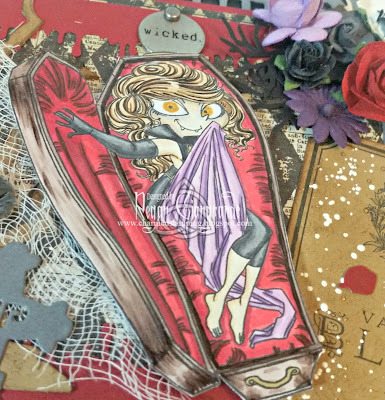 She is colored with Copics and then matted with Fleur De Lis Squares (Spellbinders). The card is then dressed up with several other dies from my collection. 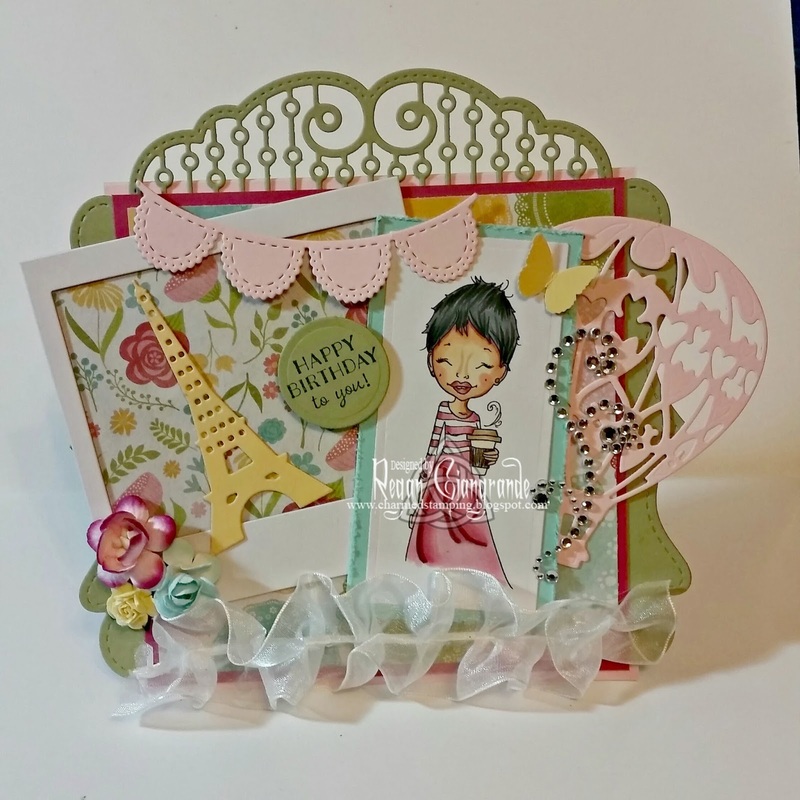 Here you will find French Pastry (Cheery Lynn Designs) as well as Lattice Doily Border, Lattice Border, Scallop Border, Dress Form, and Scroll Banner (La-La-Land Crafts). Some flowers and paper straws from my stash complete the card. This first card does have some layers and embellishments and I actually love the way it turned out. I dislike having to make sympathy cards on principle but it's important to convey comfort any way we can. 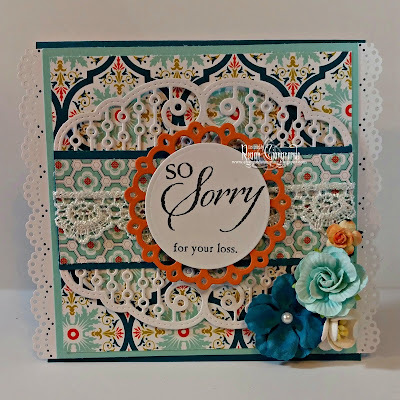 I used a Stampin' Up sentiment cut with Classic Circle Nestabilities (Spellbinders) and matted with Picot Circles Nestabilities (Spellbinders). 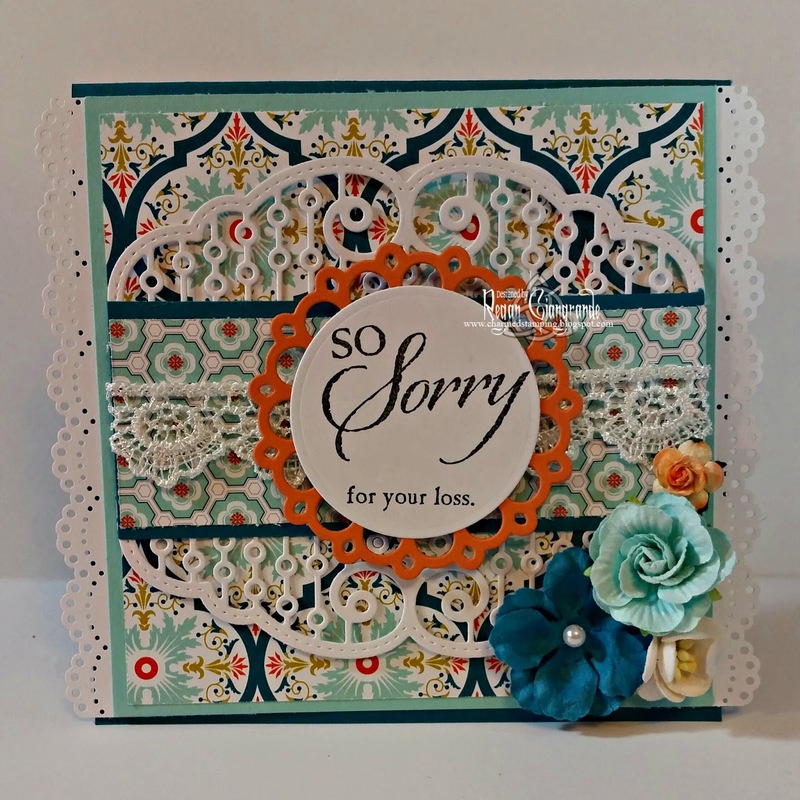 The other die is Fancy Doily Border (La-La-Land Crafts) and the edges of the card are trimmed with a Martha Stewart border punch. A bit of lace and some flowers from my stash are the finishing touches. This next card was for a co-worker's birthday. 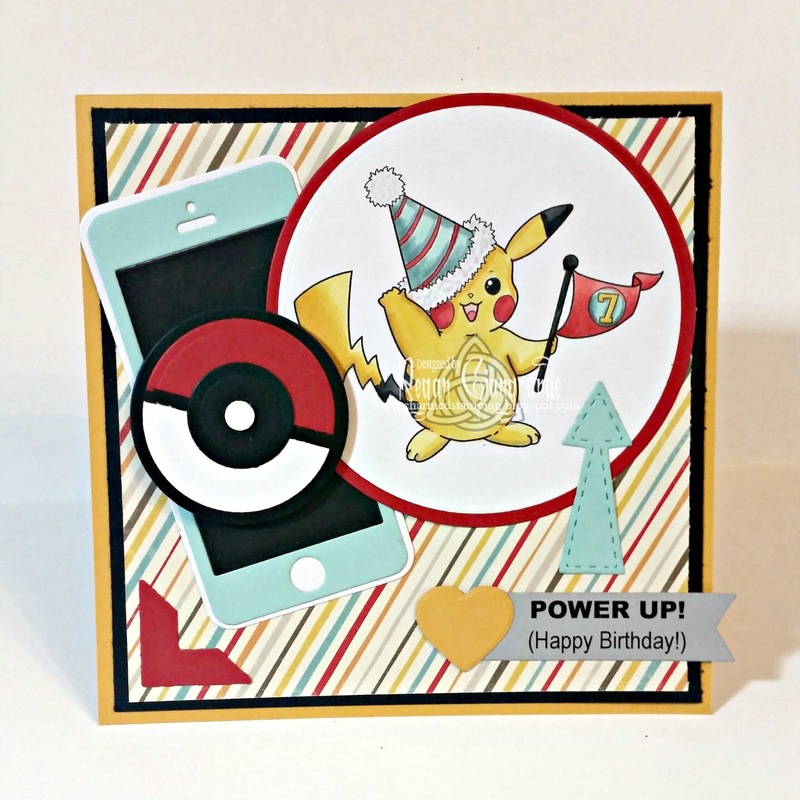 I found out last minute that he shared a birthday with another co-worker and so had to through together a quick masculine card for him. Again, here there are a few layers, topped with another sentiment from Stampin' Up cut using Fishtail Flags Stax Die-namics (My Favorite Things). 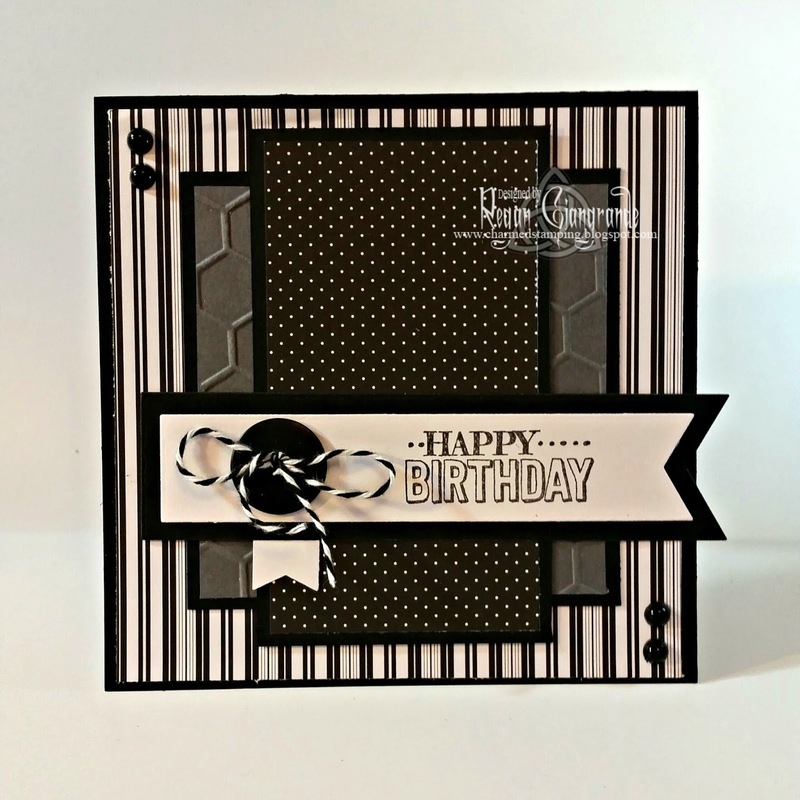 The honeycomb texture was achieved with an embossing folder and I added a few black pearls as well as a button and baker's twine from my stash. Summer was over before I knew it and I needed a thank you card for Kayne's camp director. He works so hard for those 10 weeks to make sure the kids have a great experience! But true to form I left it until the last minute to create so this was the result. 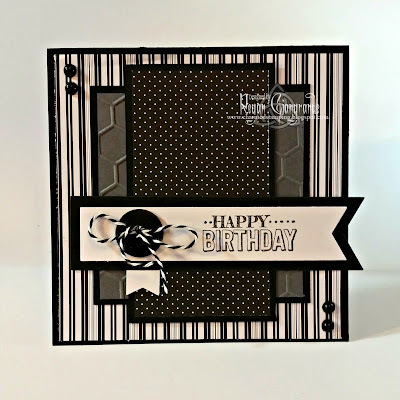 The Stampin' Up sentiment is once again cut with Fishtail Flags Stax Die-namics (My Favorite Things). 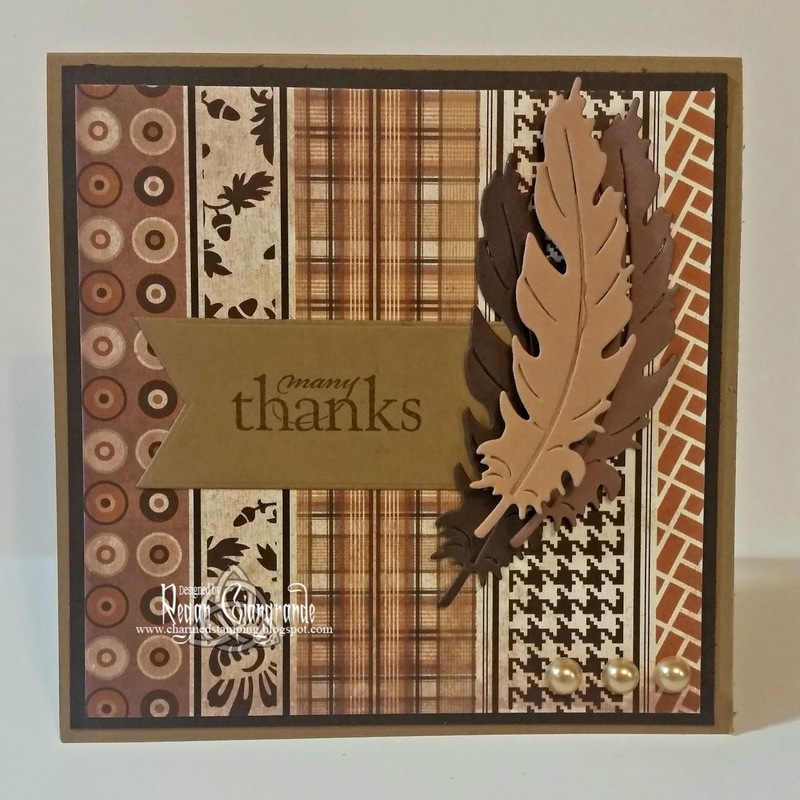 I added several of the Feather (Hot Off The Press) die cuts, popping up the top one with foam squares for added dimension. 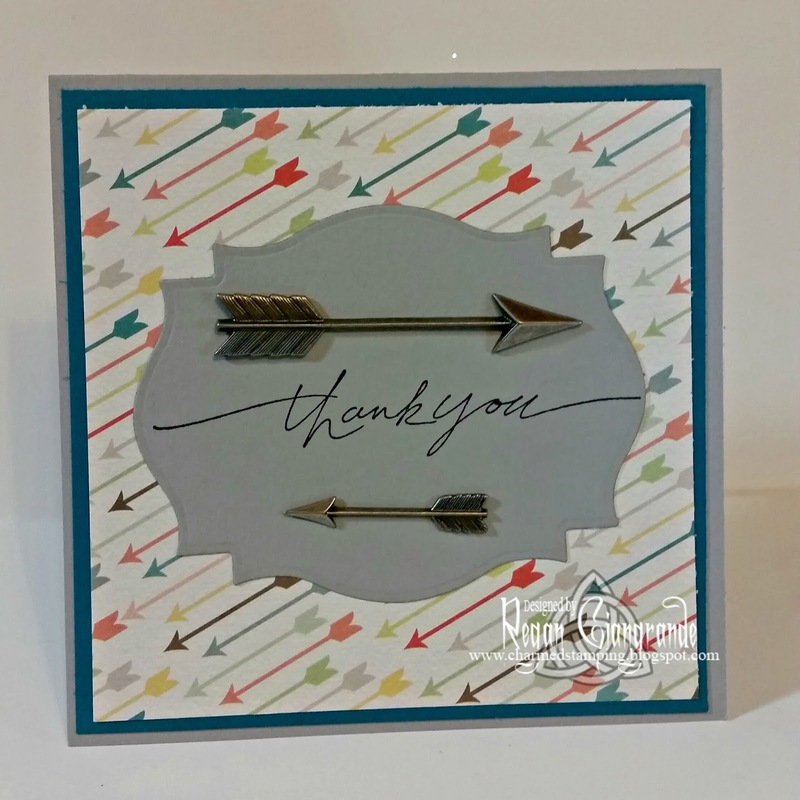 And last but not least, a card for Kayne's archery instructor. 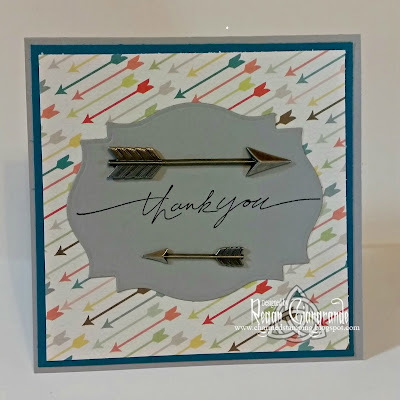 I could not for the life of me find an image of a boy with a bow and arrow that was not Cupid so I took matters into my own hands with some arrow themed paper, a Stampin' Up sentiment, and a couple of Tim Holtz metal arrows. 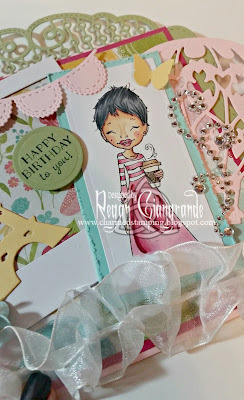 I get so carried away with all the dies and embellishments I forget that there is also beauty in simplicity. And that sometimes maybe words are worth a thousand pictures. Hi, there! Halloween is coming, but who says that monsters are only for one night a year? 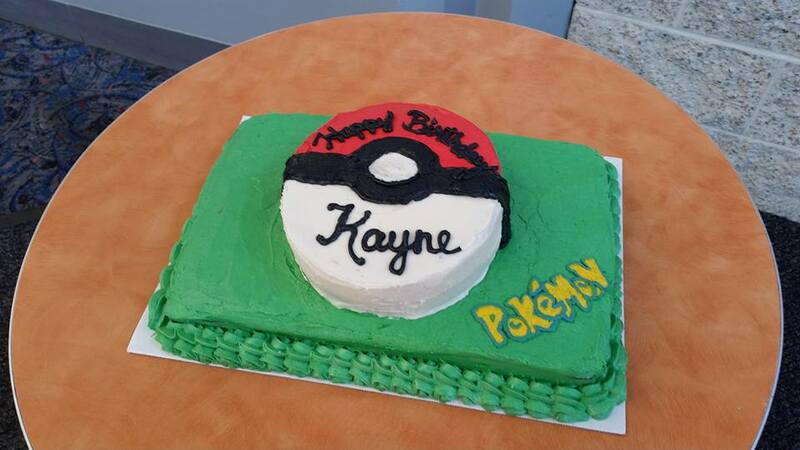 Why not for birthdays too?! 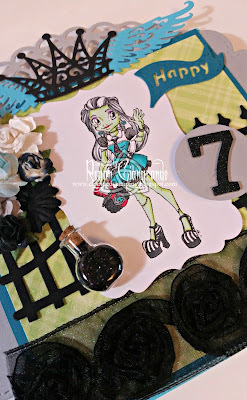 One of my son's classmates invited him to her birthday party and her mom told me she likes Monster High. 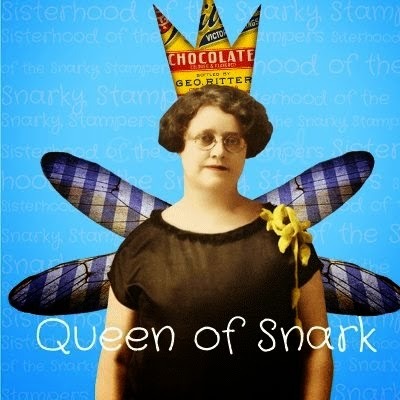 I remembered I had this awesome Mayzy Art image of Frankie Stein. So I colored her up with my Copics and cut her out using Labels Seventeen Nestabilities (Spellbinders). My die collection is my pride and joy and I love adding to it! 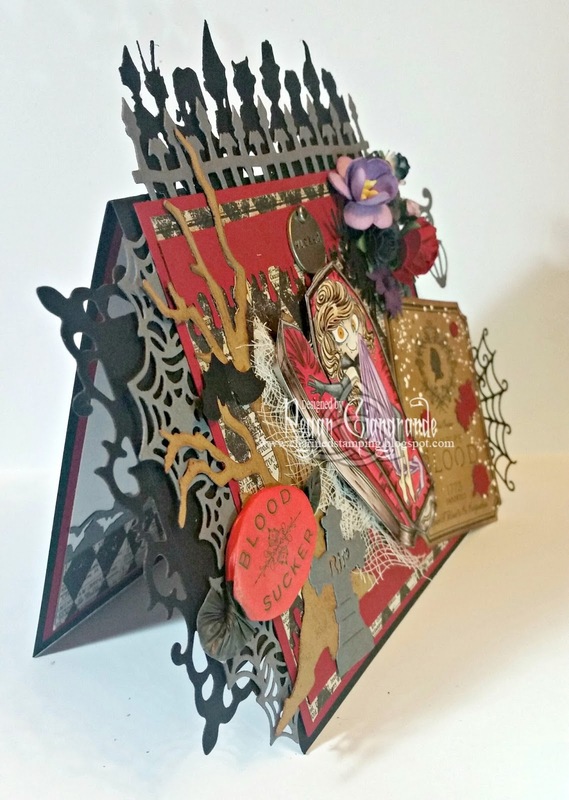 I use multiple dies on almost every card I make these days. 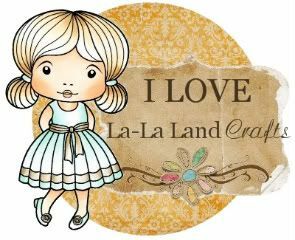 Here I've used all La-La-Land Crafts ones (except the one I used to cut the image). 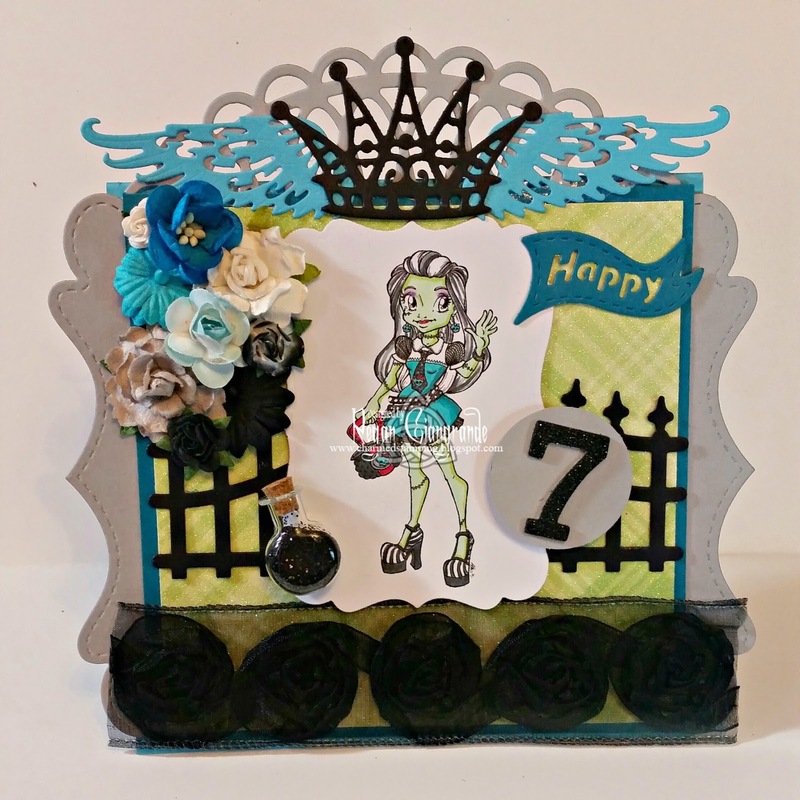 Featured are Loopy Doily, Filigree Crown, Stitched Bracket Border, Wings Set, Wrought Iron Fence, and Birthday Flag. 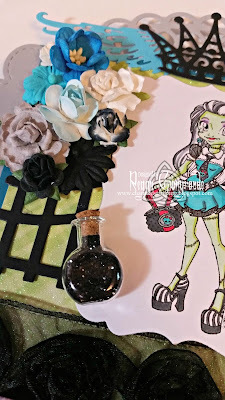 Flowers and flower ribbon trim dress up the card and I added a sprinkle of black glitter in a Tim Holtz Tiny Vial for a bit of fun! The 7 is a chipboard glitter number sticker. I'm sure I'll be back with more things that go bump in the night as my favorite holiday approaches, but I really enjoyed making this card for a non-Halloween occasion! Hi! 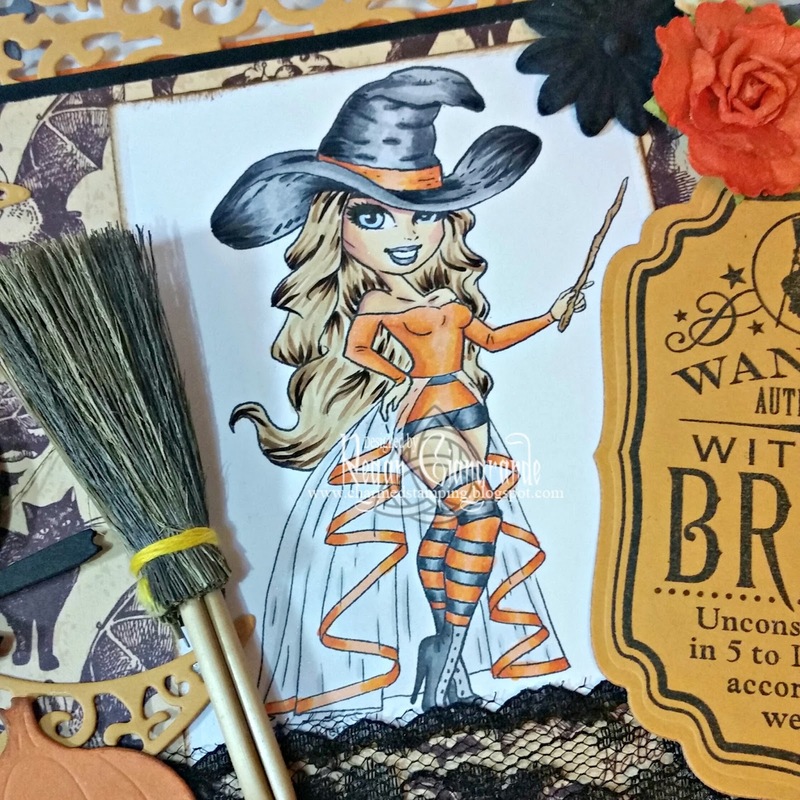 Once Labor Day hits and Summer is behind us all thoughts turn to Halloween! Oh, wait, is that just me? Lol I am already making Halloween cards, completing two so far (which I think is already one more than I did during the whole season last year! 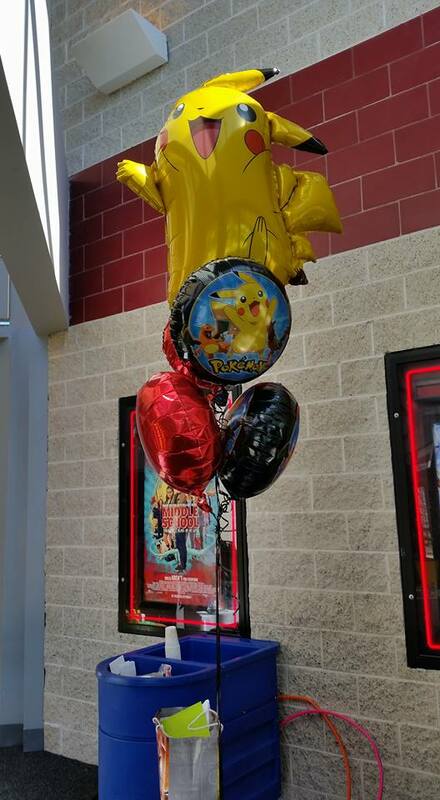 #halloweenfail2015). Anyhoo.... I am breaking in my new Kraftin' Kimmie Stamps clear stamps and having a ball! 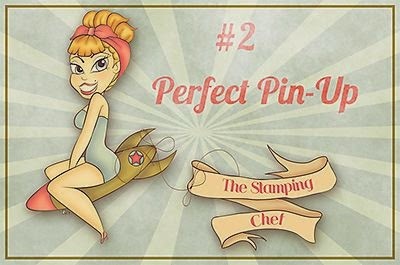 They are currently having a Guest Designer design team call on Facebook and I decided to submit something for a shot at joining them. 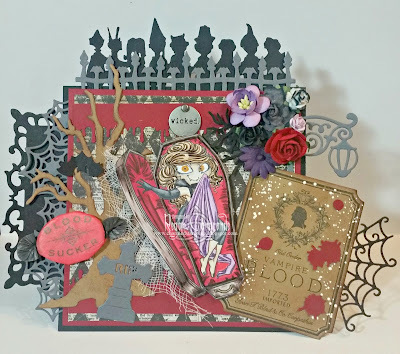 This is Valentina Vampire from the August new release! She is colored with Copics and fussy cut. 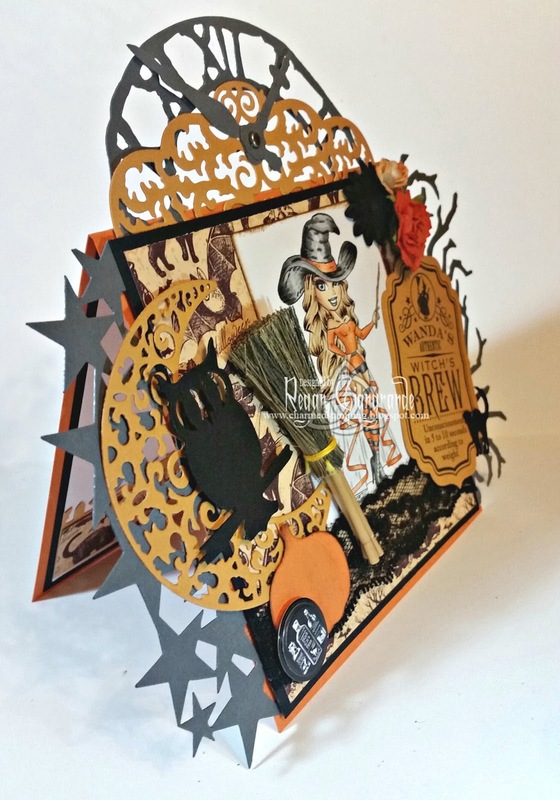 I then went over the top Halloween all over this card! I used a bunch of my dies, of course. Featured here are Spiderweb Border, Spiderweb Corner, Tombstones, Frightful Fence, and Street Lamp (La-La-Land Crafts) as well as Tim Holtz Branch Tree and Halloween Shadows (Sizzix) and Fleur de Lis Squares Nestabilities (Spellbinders). 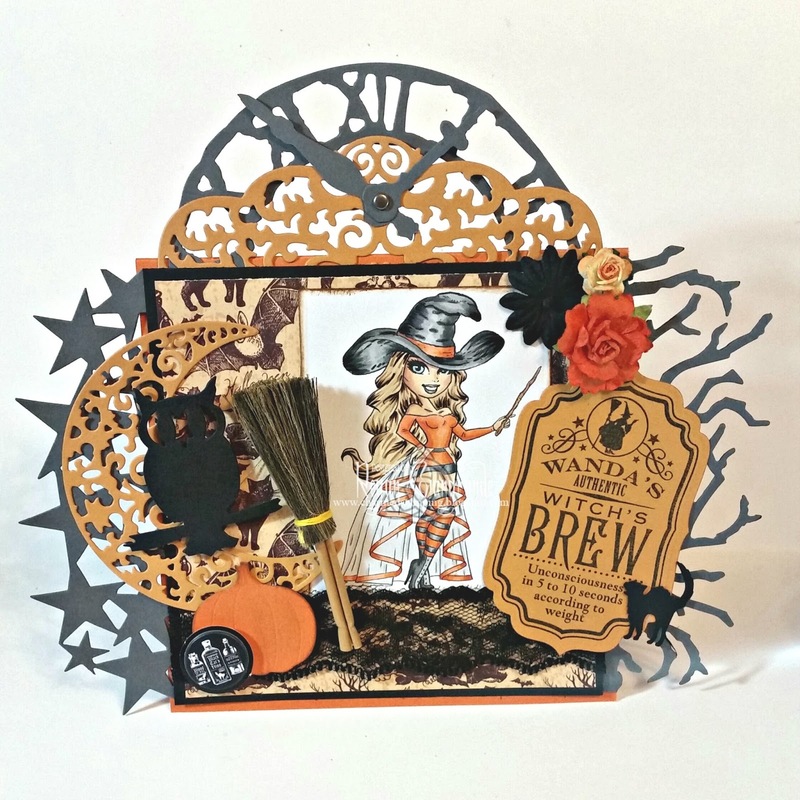 The label is from a Waltzingmouse Stamps set called Wanda's Pantry and it is cut with Small Labels Nestabilities (Spellbinders). I also sprinkled a little Shabby White Fran-tage on the label. The small branches, bat, and blood drops are Martha Stewart punches. The Martha Stewart candy sticker (blood sucker- get it?!? 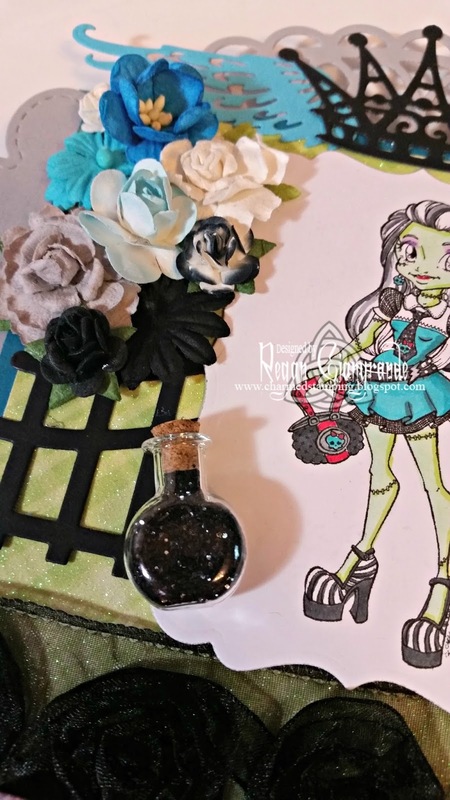 Lol), Tim Holtz Oddities Adornment, cheesecloth, and flowers are from my stash. 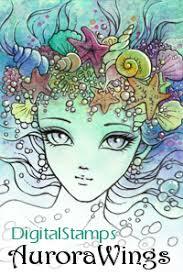 This image was SO much fun to color and create with! I have an immense collection of all things Halloween, and I am hoping this year I will have lots of Halloween projects to share with you! Is it too early to decorate...? Thanks for dropping by and hope you have a fang-tastic day! 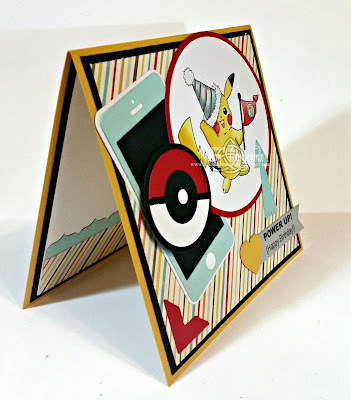 So it's not everyday that my son requests a special card for someone with a specific theme. I mean, he's only 6! 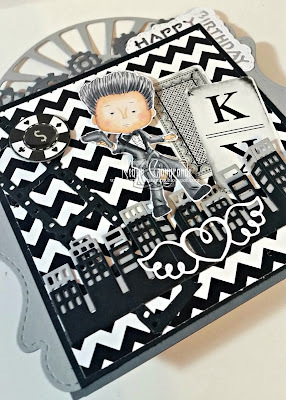 But when he told me that he wanted a James Bond themed card for his dad's birthday I broke out in a cold sweat! WHERE was I going to find a James Bond image?! Well, after a brief Internet search (Thank you, Google!) it was Polkadoodles to the rescue! 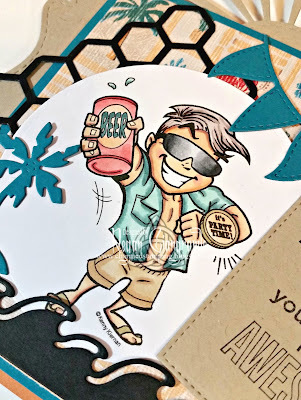 The digital stamp is called Spy, but he sure looks like that infamous secret agent 007, doesn't he? I colored him with Copics and fussy cut him then popped him up with foam squares. I usually have a hard time with masculine cards but this one came together really easily! 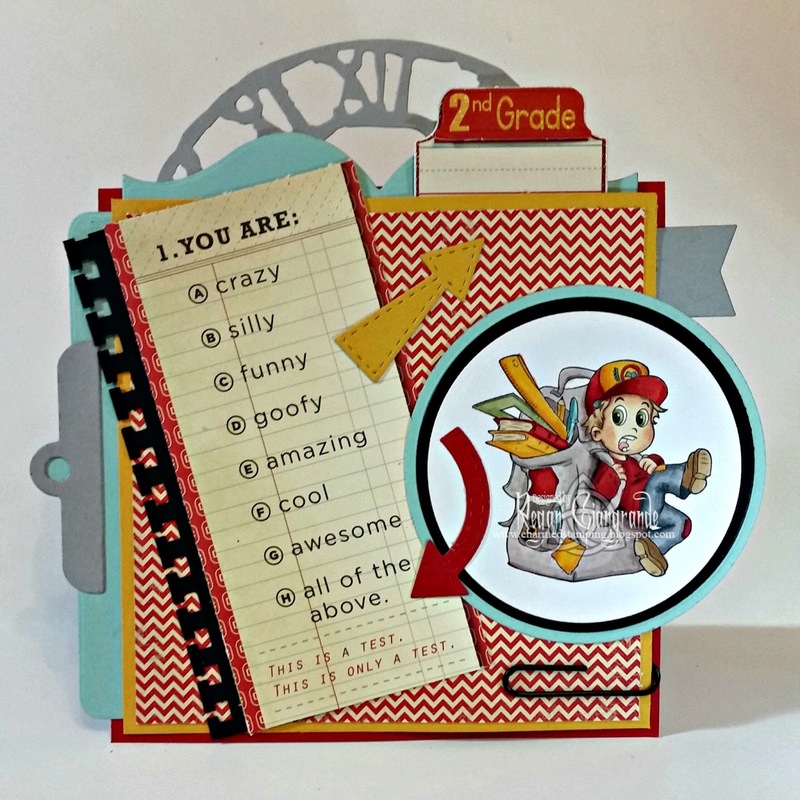 Of course I added lots of fun dies and embellishments because, well, have you met me?! 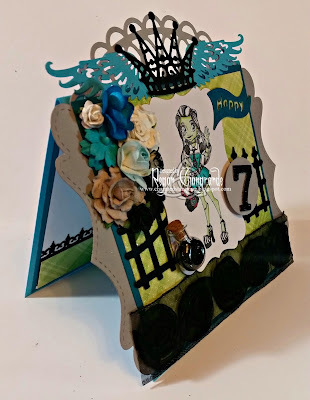 Featured here are Skyline Border, Stitched Bracket Border, Sunburst, Steampunk Border, Birthday Corner, and Winged Heart (La-La-Land Crafts) and Tim Holtz Film Strip (Sizzix). I also added a casino poker chip sticker and Tim Holtz Alphabet Cards from my stash. The little man was happy and hopefully so was his dad! Hi! 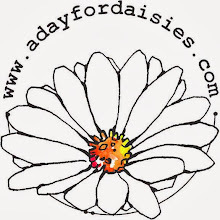 Day 3 of my long holiday weekend and I've blogged as many days. I'm impressed, if I do say so myself! 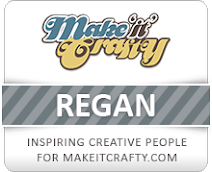 Lol I have been saying for some time that I wanted to broaden my crafty horizons and try some new companies (or use more of ones I already own but don't color frequently enough). 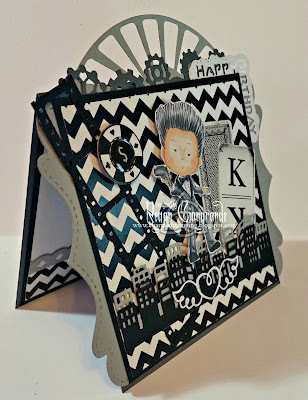 I have admired Annie Rodrigue's images over at Kraftin' Kimmie Stamps for years, but had never gotten around to purchasing any. 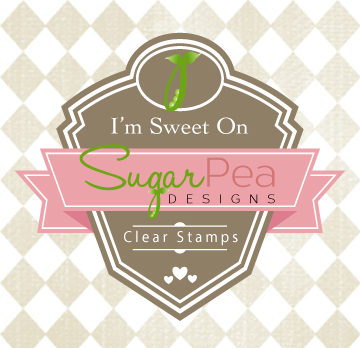 Since the shop only sells rubber and clear stamps for some reason I put off ordering for a variety of reasons. Digis fall into my shopping cart like penny candy all the time. (I'm all about the instant gratification!) 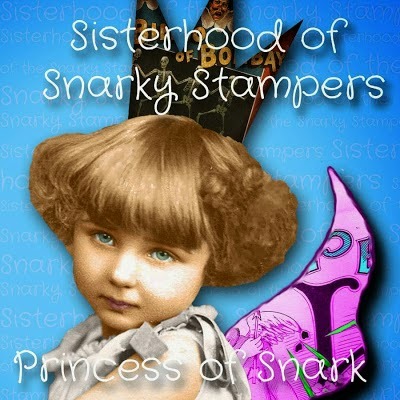 But somehow it feels like a bigger commitment, financially and otherwise, to buy stamps that require shipping. 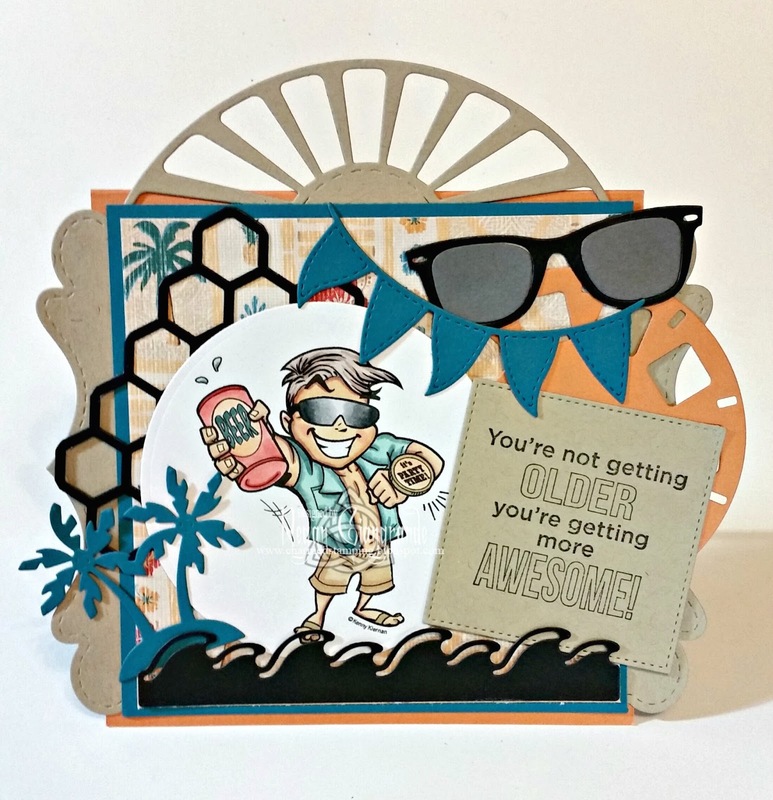 All that changed when I saw their magical July new release! I ordered two sets as soon as they were available! Since then I have acquired a small collection thanks to the fabulous Frugal Friday sales and various private sales! 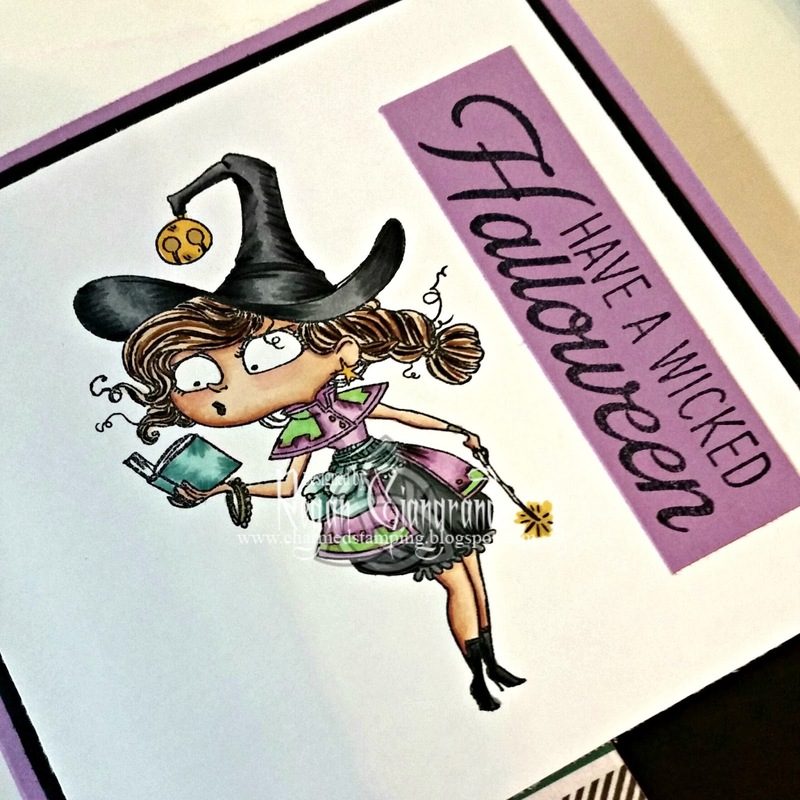 I colored my first image and there she sat on my craft desk for a bit, but I've finally made her into a card using this month's KKS Sketch. 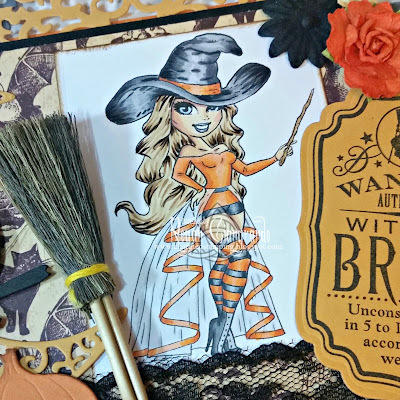 Here is Witch Willa! I colored Willa with Copics. 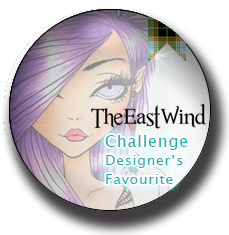 When I saw the current challenge and the sketch I decided I should enter my first KKS challenge too! The theme is Clean and Simple. Most of you know this is not my normal style, but I gave it a shot and followed the sketch. The sentiment is from another Kraftin' Kimmie Stamps set called Spook-tacular Sentiments. The only die I used on this card was the Fishtail Flags Stax Die-namics (My Favorite Things). I'm hoping this is the beginning of a beautiful relationship! Thanks for hanging out with me this weekend! Hello! How is everyone's weekend so far? 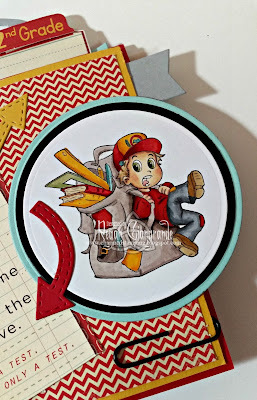 I'm taking a little time to get caught up on some things, including a backlog of blogging. I color. 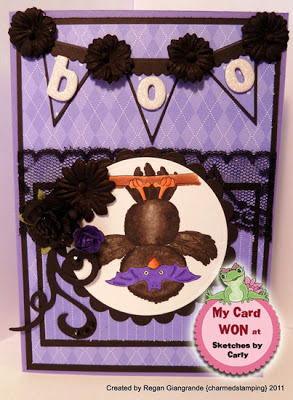 I make cards. But the online sharing of said cards has been a bit lax these days. But I'm here today to share a birthday card I made for my Zumba instructor/friend and fellow book worm! 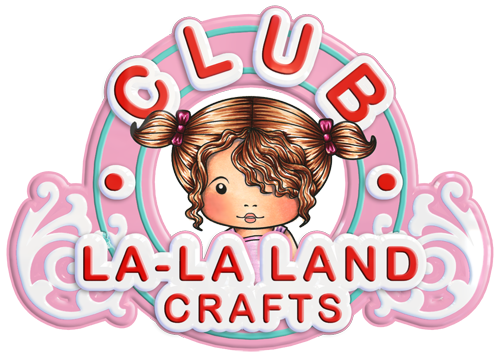 What could be more perfect than the May 2016 Club La-La-Land Crafts kit?!?! I colored Marci with Books with my Copics and fussy cut her. 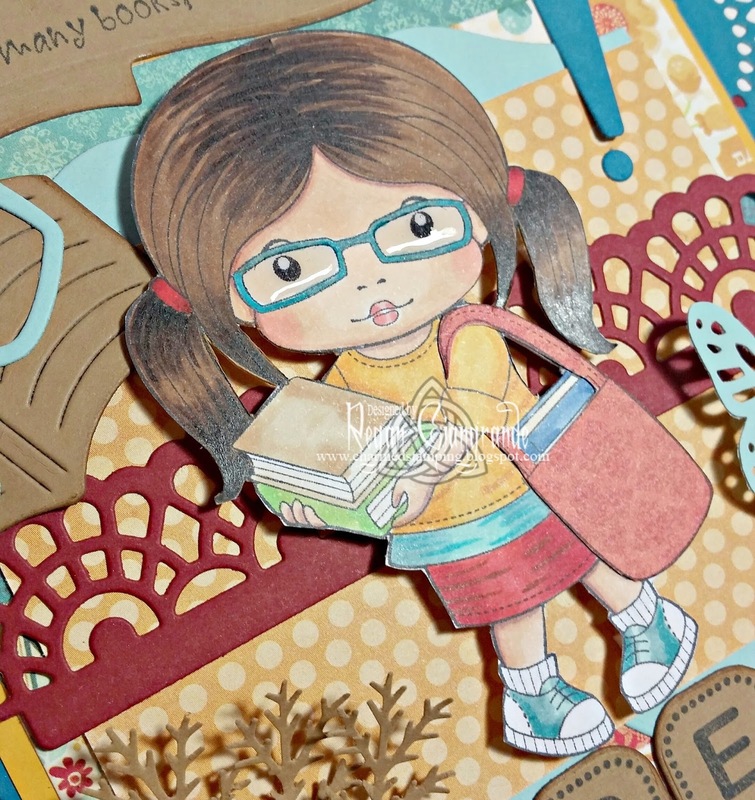 For added fun and interest, I paper pieced her book bag with designer paper and added glaze to her glasses. 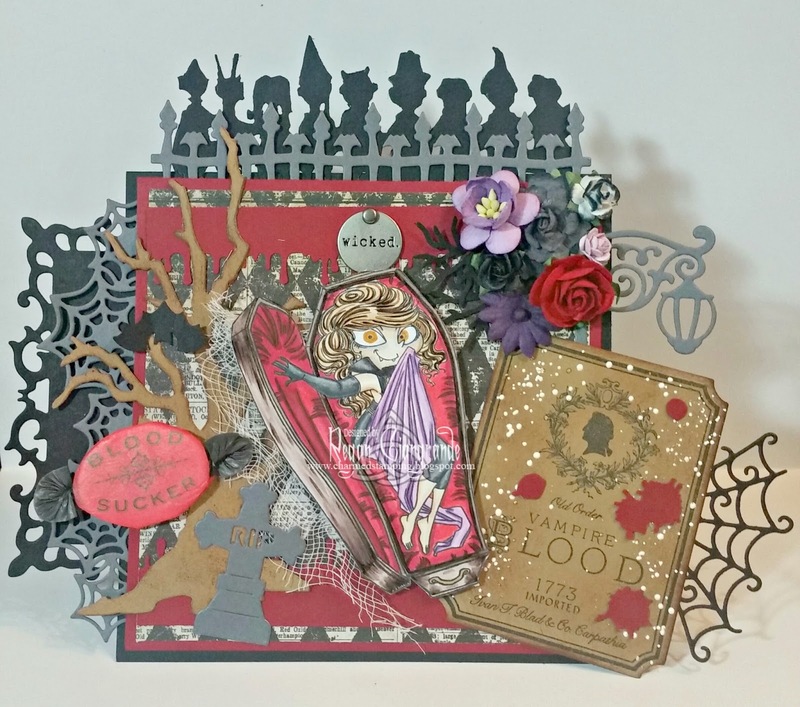 My love of my die collection shines through once again. 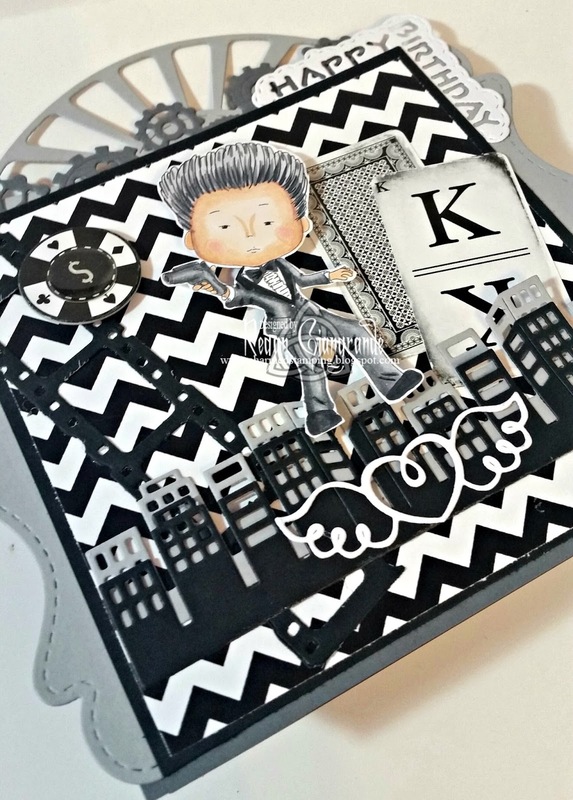 I used a couple from the kit as well as a few more from La-La-Land Crafts. 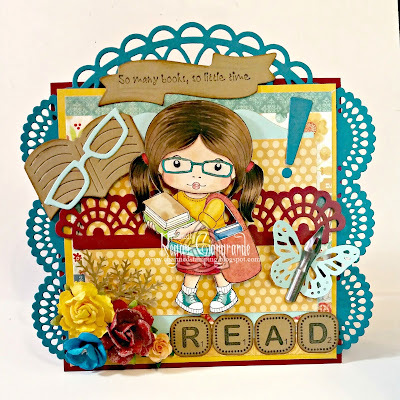 Featured here are Book Brackets, Open Book, Glasses, Question/Exclamation, Loopy Doily, Large Lacy Border, and Scallop Border. 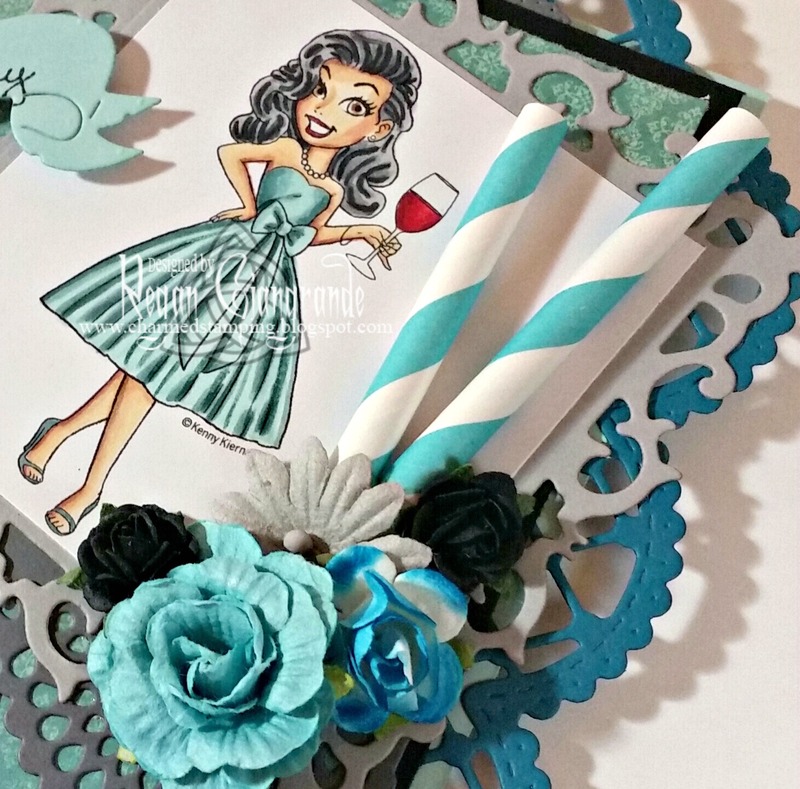 The butterfly is a Martha Stewart punch. 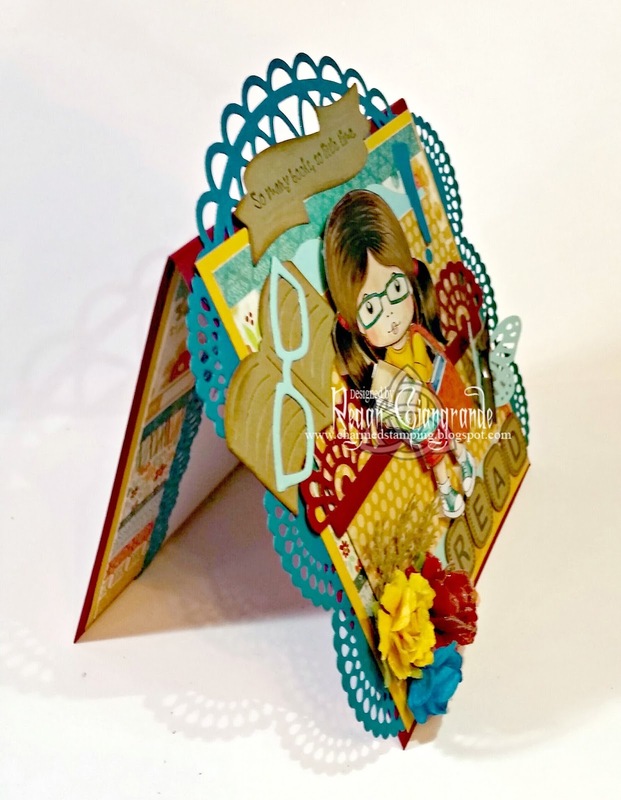 The READ sentiment was created with a stamp set/die combination from Whimsy Stamps. 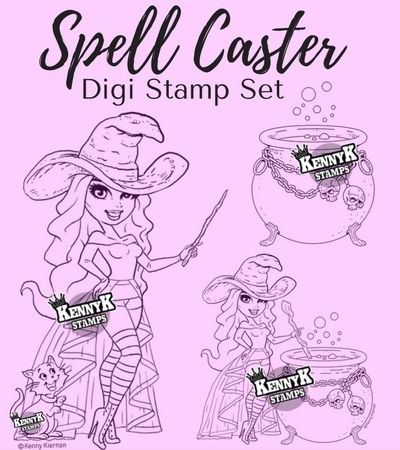 The stamp set is called Spell It Out. The other sentiment is part of the kit and is cut using Ribbon Banners (Spellbinders). 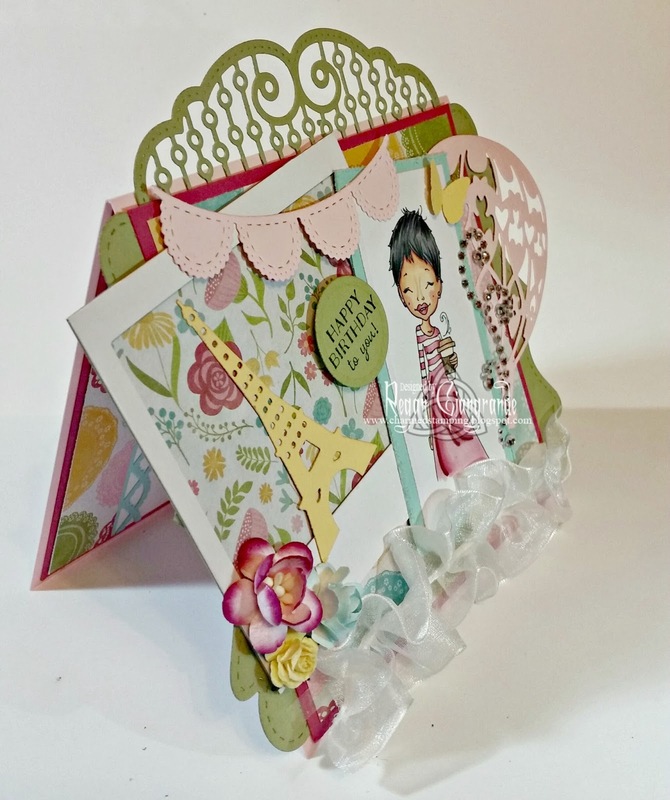 I added a few flowers, punched branches (also Martha Stewart), and a Tim Holtz pen nib for embellishments. If you want to check out the details on the Club LLLC kit subscription click HERE. 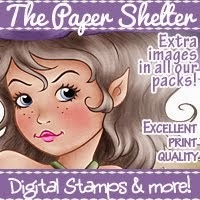 It is an awesome deal and such a fun surprise every month! Hi there! Well, we successfully navigated the first week of school here and are now set to enjoy a long holiday weekend! 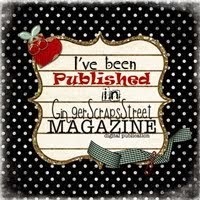 I thought I'd try to use some of the time to get caught up on a few things... like blogging! I still can't quite believe that my little man is in second grade! 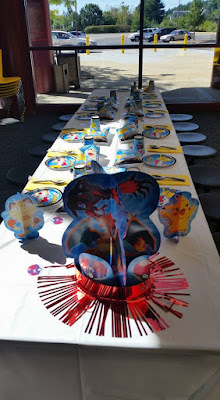 We have a little tradition where I make him a special first day of school breakfast (with bacon, of course) and a card. 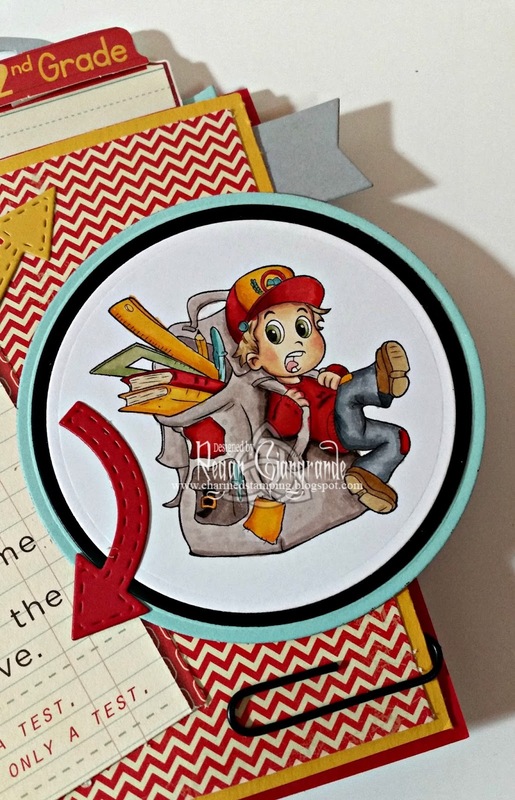 This year I used the adorable Back To School Madness digi from The Paper Shelter. I colored the image wih Copics and then cut and matted it using Classic Circles Nestabilities (Spellbinders). It's no surprise that I piled on some dies (although not nearly as many as some of my cards). 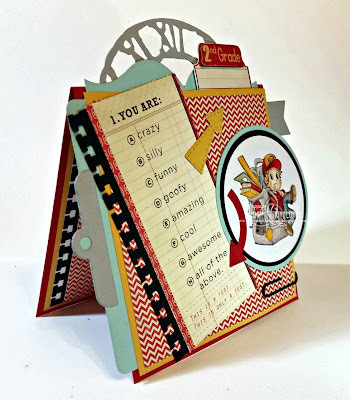 Here I've used Tim Holtz Weathered Clock (Sizzix) as well as Book Brackets, Clipboard Border, and Brackets and Arrows (La-La-Land Crafts). The notebook edge is a border punch. The fishtail flag is either a die or a punch. I can't remember which! 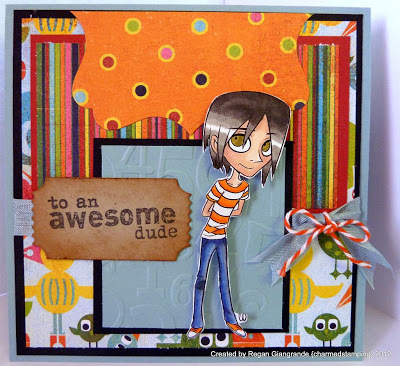 Lol The "test" is from a 12x12 designer paper that has been in my stash forever called The Boyfriend Papers by Cosmo Cricket. Black paper clip and 2nd Grade sticker are also from my stash. Thanks for stopping by and wishing a wonderful Labor Day weekend to my US followers!